Norman, OK – July 30, 2018 — Weather Decision Technologies, Inc.® (WDT), the world’s leading decision support and weather analytics company announces the release of RadarScope® 3.8 for iOS and macOS. This latest version includes new Apple Watch support, faster radar, local storm reports, and more. RadarScope can now utilize an Apple Watch wifi or cellular connection to download data, allowing you to leave your iPhone behind. The new version works with any Apple Watch running watchOS 4 or higher. You may now choose to receive the warnings feed from WDT or AllisonHouse. Feeds include Tornado Warnings, Severe Thunderstorm Warnings, Flash Flood Warnings, and Special Marine Warnings issued by the U.S. National Weather Service. RadarScope Pro subscribers can now select up to 30 frames of all products, including super-res data and Canadian radars. *All user levels can select up to 30 frames of level 3 products when using the NOAA data provider or via an AllisonHouse subscription. Pro Tier 2 subscribers will receive faster radar data updates via a new feature called server-sent events. 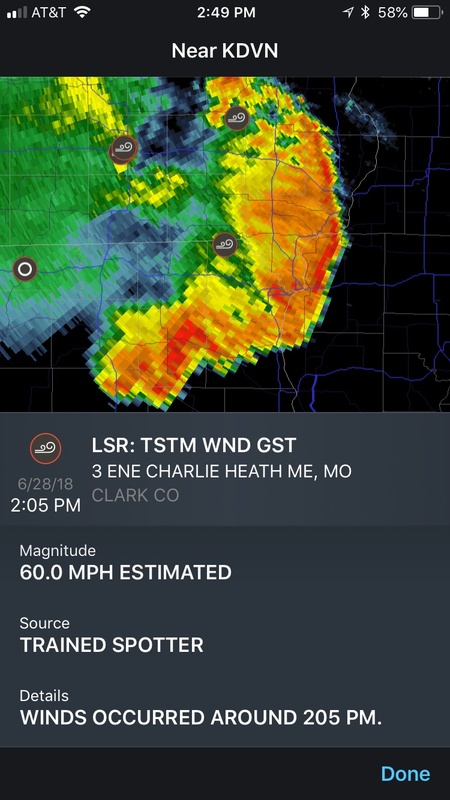 This feature can make the latest data available up to 60 seconds faster than via polling when using the RadarScope Pro data provider option within the app. Pro Tier 2 subscribers also benefit from the addition of NOAA Storm Prediction Center Day One Convective Outlooks. 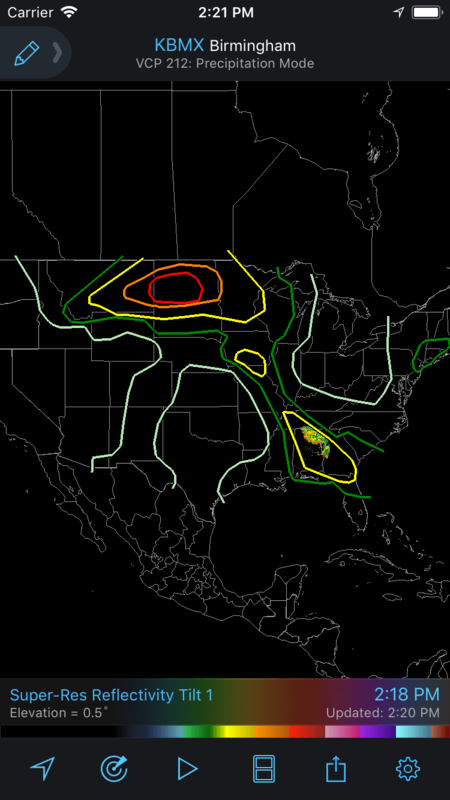 These outlooks indicate areas of severe weather potential across the United States. Outlooks are displayed as contour lines on the map, with each contour indicating a level of risk. Pro Tier Two subscribers can now access local storm reports, which are mapped alongside mPING reports. Local storm reports are submitted to the NWS by storm spotters, law enforcement officials, emergency management personnel and weather enthusiasts. Android users will receive this update as soon as internal testing is complete. Windows users will receive a full parity update later this year. About Weather Decision Technologies, Inc.
Headquartered in Norman, OK, WDT provides organizations with actionable weather analytics and decision support. The company helps clients leverage weather information for profit and safety. Hazardous weather detection, prediction, and decision analytics are available via APIs and GIS layers, as well as WDT’s leading risk mitigation SaaS platform, WeatherOps®. WDT takes business continuity activities to the next level by assigning expert meteorologists to monitor global assets and provide live, one-on-one consulting before and during severe weather situations.